for the fair, impartial and timely resolution of civil and criminal cases." Unlike the other divisions of the Common Pleas Court, the General Division, having "general jurisdiction" will hear civil matters with a value of greater than $15,000, criminal matters where the crimes are defined by statute as felonies, and other certain criminal offenses. If jurors choose public transportation, the Court will provide passes. Cuyahoga County Common Pleas Court Judge Nancy Margaret Russo was honored by the Circle For Re-Entry Ohio at the Re-Entry Alumni Association’s inaugural awards. 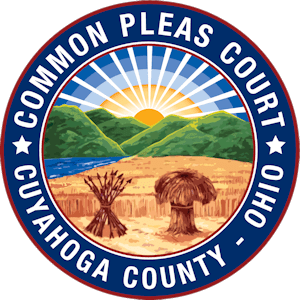 Not all the money awarded to defendants in Cuyahoga County Common Pleas Court cases in 2018 has been claimed. Docket seeks to help veterans by diverting them from the traditional criminal justice system. Cuyahoga County Common Pleas Court offers educational opportunities to children throughout Cuyahoga County. Our Judges visit schools, welcome students into their courtrooms and even hold live Court sessions at middle schools. We encourage your school to contact Cuyahoga County Common Pleas Court to see what kind of educational experience would best fit your curriculum.